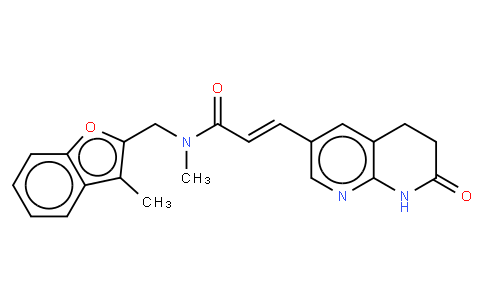 AFN-1252(Debio 1452) is a potent inhibitor of enoyl-acyl carrier protein reductase (FabI), inhibited all clinical isolates of Staphylococcus aureus and Staphylococcus epidermidis at concentrations of 0.12 g/ml. AFN-1252 was inactive (MIC90, >4 g/ml) against clinical isolates of Streptococcus pneumoniae, beta-hemolytic streptococci, Enterococcus spp., Enterobacteriaceae, nonfermentative gram-negative bacilli, and Moraxella catarrhalis. These data support the continued development of AFN-1252 for the treatment of patients with resistant staphylococcal infections.